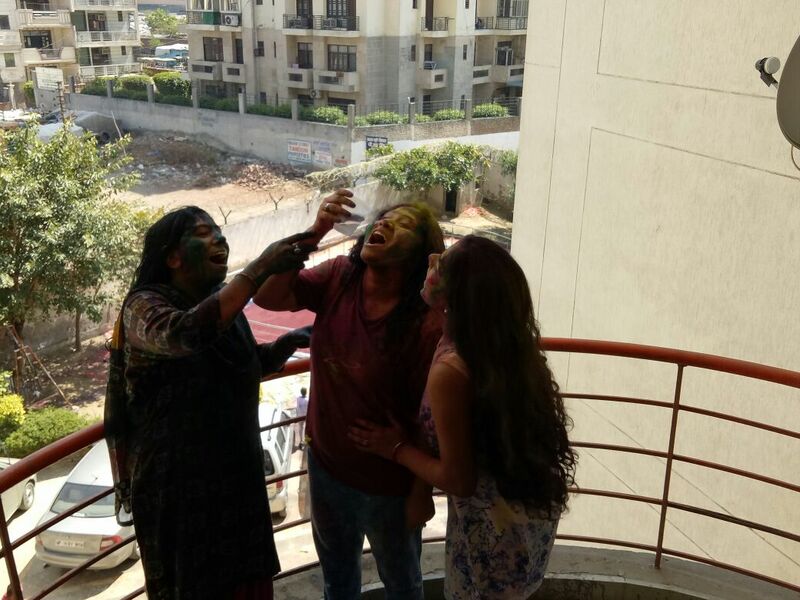 A very Happy Holi my lovely readers! 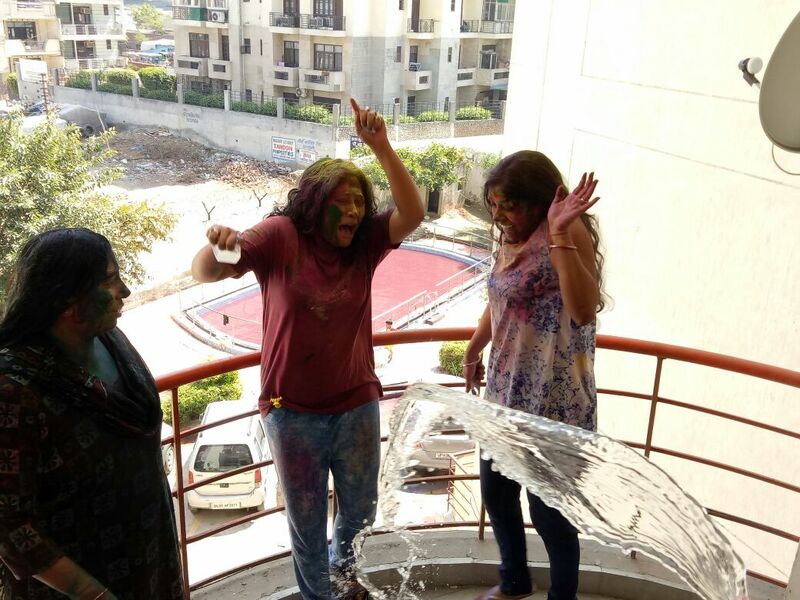 Holi does not need any introduction for my countrymen. However for my international readers and friends I would like to explain briefly. I of course won't go to Hiranyakashipu and other mythological stories. 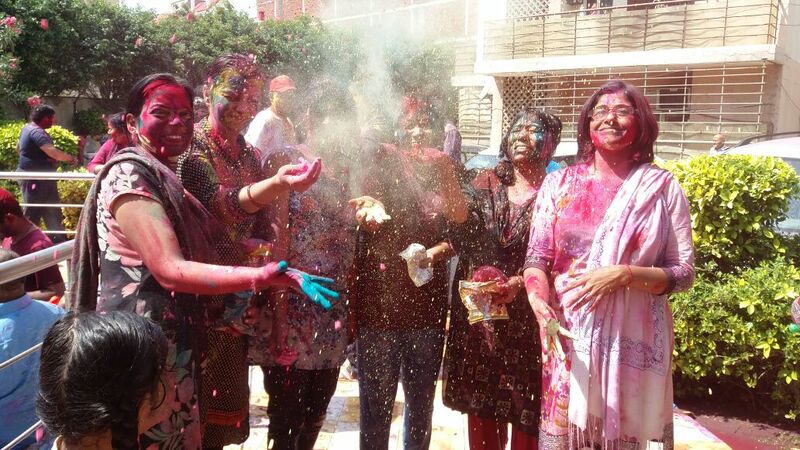 I have seen Holi celebration in other parts of the world (by non Indians) like Germany and South Africa. 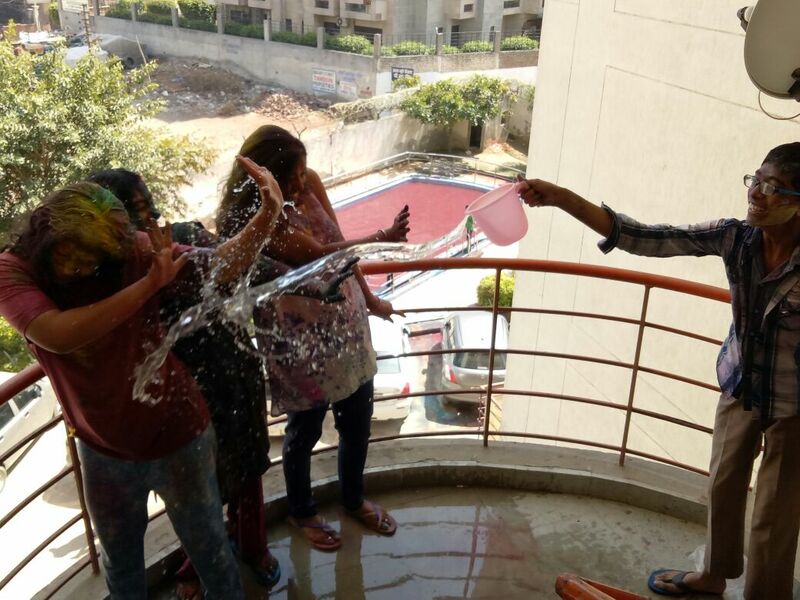 They however celebrate it at any time (summers). But Holi has a specific date. Its the 'Poornima' of the month of Phalguna or the first full moon of spring. Usually its during the second week of March but it can vary depending on lunar positions of that particular year. The day prior to actual Holi, we lit a bonfire. We believe that it burns all the evils. The next day we smear each other with dry and liquid colours, eat sumptuous snacks (gujiya et al) and drink Bhaang (stimulant). We play drums and dance and make merry like there is no tomorrow. Its usually cold on this day but who cares? 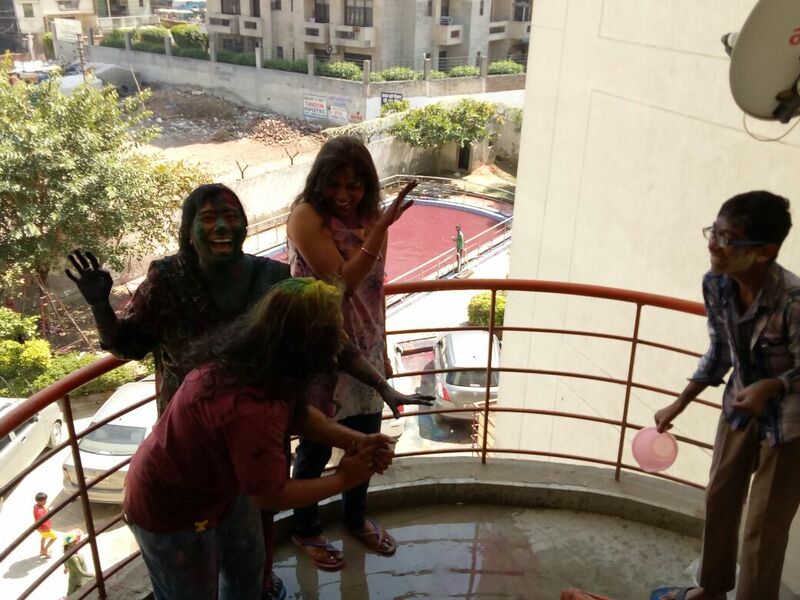 People are usually found shivering, drenched in coloured water but that does not deter anyone from playing. I love playing Holi. I have a playful side of myself that likes to be unleashed during such festivals. However for the past few years, I was unable to play. One year my daughter was born during this time and other years I simply did not have companions or courage to go ahead. FIY the husband does not play. So the last time I played was way back in 2010 when I was at my Grandma's place. My cousins and me had a crazy, unforgettable time. 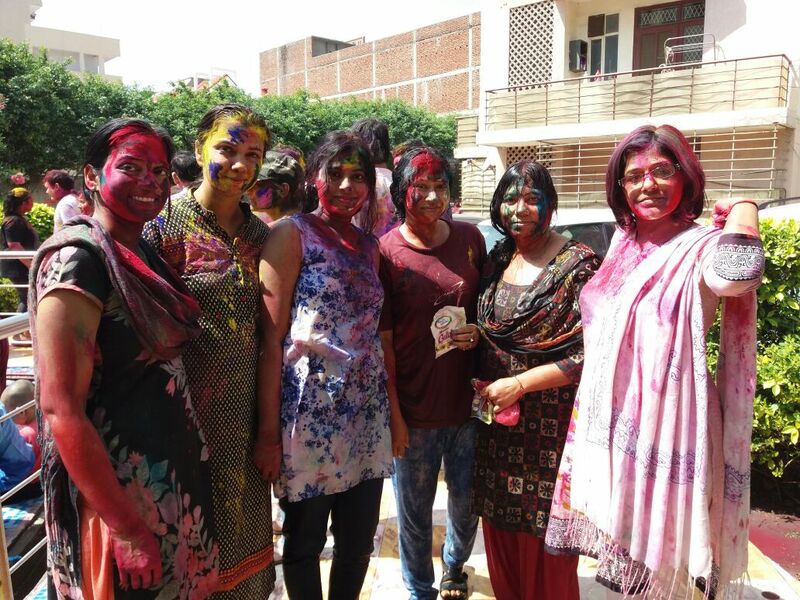 The society in which I have been residing for the last five years organize a great Holi celebration. The swimming pool is filled with coloured water and everyone jumps into it to play wildly. Music blares in the background and the residents have a merry time. I usually watch the entire play from upstairs. This year too I was in no mood. Even though I wanted to go, it meant leaving my daughter away. Her father is unable to manage her all alone. And if I dragged her along with me, she would have got scared seeing those crazy faces. Also it would be a Herculean task to clean her up. I was contemplating whether to join or not when my dear neighbour called me and coaxed me to join her. I was really enticed, Hubs tried to stop me but I did not yield to his order. I set a Doraemon movie for my daughter and snuck out. What followed afterwards was pure madness. Since I was clean when I reached downstairs, I was any easy target. I became a coloured mess within no time! Then we danced, drank Pepsi and gorged on piping hot pakoras. When I started shivering in cold, I decided it was time to go back. As I entered home, my tiny munchkin was rather petrified. She kept on saying '' Mumma please wash your face''. She was unable to look at me yet unable to leave my side too! Poor little thing! During the entire shower time she stood by the door and kept on pestering to wash my face. I assured her hundreds of times that my face is clean but she did not have the courage to look at me. Finally as I stepped out, she was satisfied and immediately jumped into my arms! I clearly had a blast today. 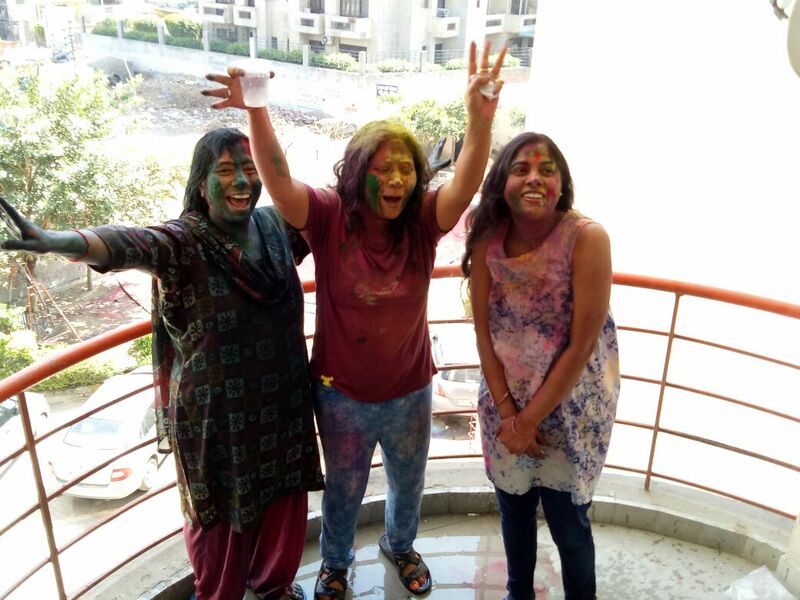 This is the last Holi celebration in this society as we would be shifting to a new locality soon. I would remember this day for years to come! Some more crazy pictures...Join the madness! 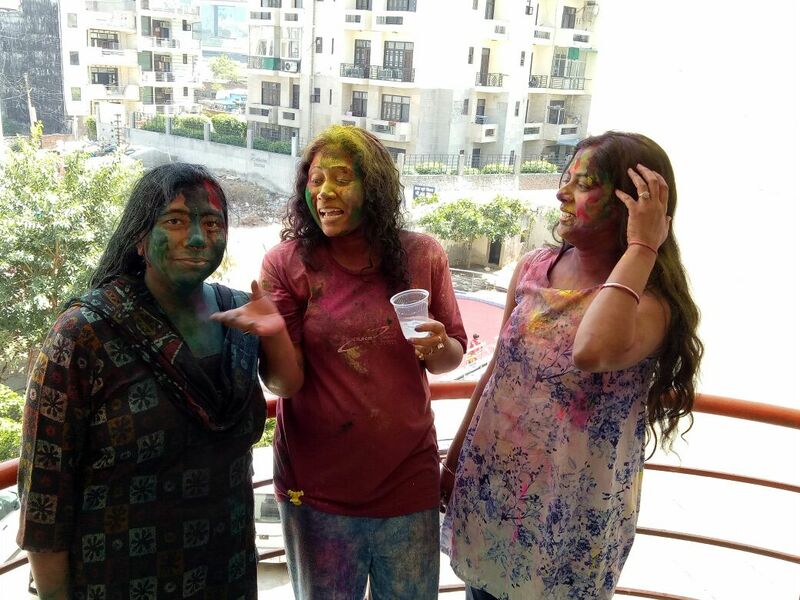 I always hear such amazing things about the Holi festival :) Looks like you had an absolutely amazing time hun... thanks so much for sharing! So much fun you've had had. Lovely captures!